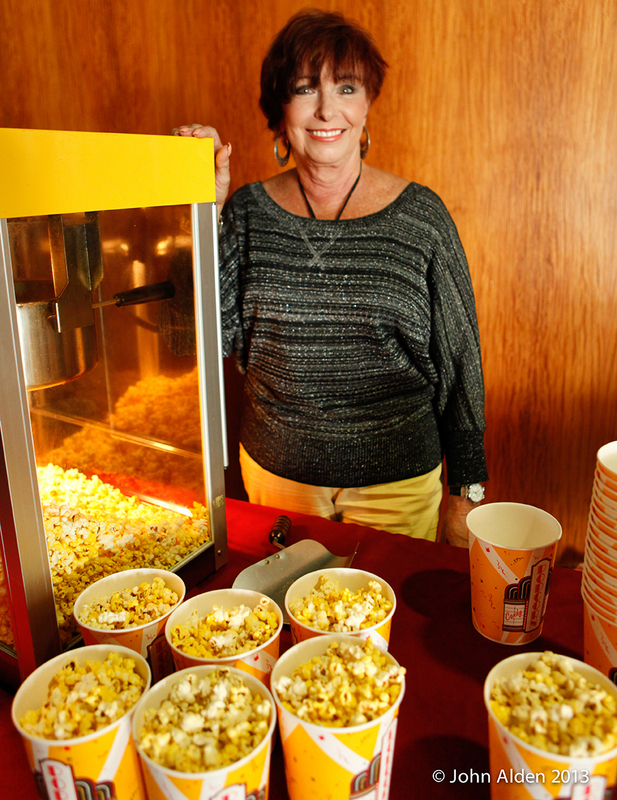 Our September 2013 volunteer of the month Susan Rogers loves her movie popcorn. Photo by JA Photography. Occupation: Susan is a retired National Sales Representative for The Fresno Bee. Filmworks thanks all of our September 2013 volunteers: Leslie Bjerke, Lorna Bonyhadi, Nené Casares, Celeste DeMonte, Fae Giffen, Linda Hernandez, Vikki Hernandez, Neal Howard, Rose Marie Kuhn (discussant), Sarah Nixon, Gene Richards, Susan Rogers, Sky Sweet, Colby Tibbet (intern), Lorraine Tomerlin, Andrew Veihmeyer (intern), Jon Veinberg, Suzanne Watkins.